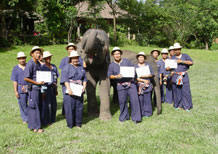 This a one day course organised by the Mae Sa Elephant Camp. As well as seeing a demonstration of elephant skills, you will learn a variety of aspects about elephants. 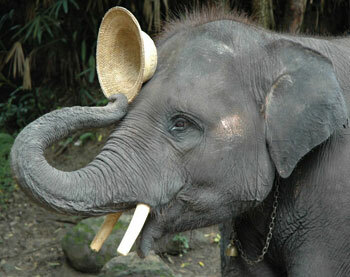 In the afternoon you will be introduced to the skills of a mahout and how to ride and command an elephant. During your day at the Mae Sa Elephant Camp you will learn about commands and training of the elephants, visit the elephant nursery, paint with the elephants and bathe and ride these wonderful creatures. An excellent activity and learning day for older children/teenagers and adults. 0800 Arrive at Mae Sa Elephant Camp. Meet the instructors. Go to the elephant nursery area to change into mahout outfits. elephants giving commands and on the ground commands. 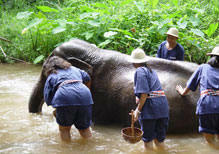 Notes: This tour/course is organised by Mae Sa Elephant Camp. 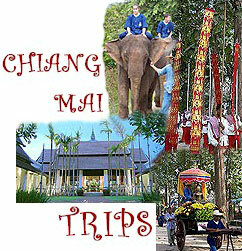 Price is for package of course and transportation to and from your hotel in Chiang Mai. There will probably be other people at the centre participating in the course. 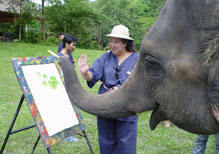 There are staff at the centre to explain activities as well as elephant care and training in English. You will be accompanied by fully trained camp staff in addition to mahouts throughout the day. 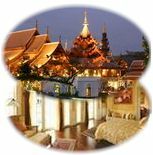 Transport to and from Chiang Mai is private A/C vehicle + driver.